Following in the footsteps of Matthew Good and Radiohead, Nine Inch Nails frontman Trent Reznor announced today that he has come to the end of the downward spiral. He has fulfilled his contractual agreements with Interscope and will see if he can avoid the middleman and allow his audience to deal with him in a more intimate arrangement, he said on nin.com. Hello everyone. 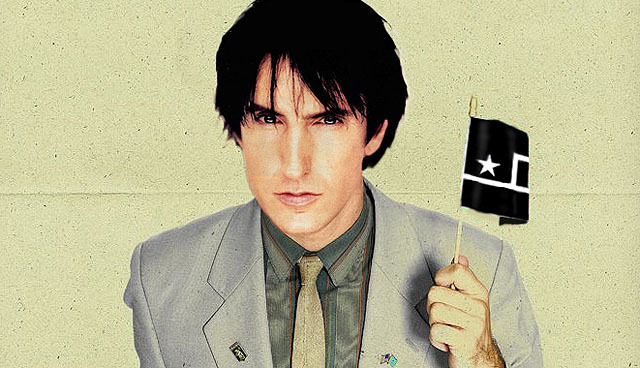 I&apos;ve waited a LONG time to be able to make the following announcement: as of right now Nine Inch Nails is a totally free agent, free of any recording contract with any label. I have been under recording contracts for 18 years and have watched the business radically mutate from one thing to something inherently very different and it gives me great pleasure to be able to finally have a direct relationship with the audience as I see fit and appropriate. Although this is good news for Trent, his fans, and other artists who are in the position to deal directly with each other, it&apos;s hard to believe that the major labels care. They probably feel like they&apos;ve gotten nearly two decades of his best work, now it&apos;s time to exploit the newbies. Meanwhile, if Donald Trump really wants to get the Apprentice going again, how about one where one team gets to be Radiohead&apos;s label for 4 months while the other team gets NIN for 4 months. Now that&apos;s tv we would watch.